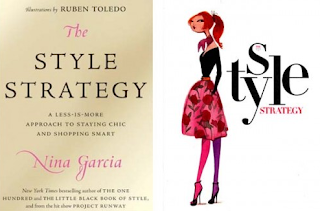 Armed with Nina’s no-fail The Style Strategy, fashionistas will not only discover a myriad of shopping alternatives sure to help them attain high-end looks at lower prices, but also learn how to maximize what they already have through maintenance, ingenuity, and creative style choices. Step by step, Nina helps readers honestly answer three key questions—What do I have? What do I need? What do I want?—before making purchases, so they can effectively eliminate any unnecessary spending. This book also celebrates some of the most extraordinary women of the past, who remained admiringly fashion-forward during their own era’s economic hardships. The book is available for pre-order at Amazon.com for $14.95.